Flateyjarbók is one of the most important, and best known, of medieval Icelandic manuscripts. It was put together in the late fourteenth century, with a further section interpolated in the fifteenth century; the whole comprises 225 pages. Heavily illustrated by Icelandic standards, its illuminations are familiar from many book covers and accounts of Viking history. At its core are the sagas of King Óláfr Tryggvason and his successor King Óláfr Haraldsson, the Saint; based on Snorri Sturluson’s Heimskringla, these sagas are heavily expanded after the fashion of late saga compilations, and further interwoven and interspersed with numerous þættir (short stories), excerpted sagas of Icelanders, poems in both Eddic and skaldic metres, genealogies and annals. Besides providing useful versions of many texts known elsewhere, Flateyjarbók includes a number of works that appear nowhere else, or for which its version is the earliest and/or best. It has generally been seen as a repository, with the emphasis on the texts contained within it. The whole amounts to a comprehensive view of the early Scandinavian world, with a focus on conversion at its heart, but with a reach across the Viking diaspora, and a social range that, in some of the þættir, brings kings into contact with their most recalcitrant subjects. This session focuses on Flateyjarbók as a literary text, rather than specifically as a manuscript. Papers will address specific texts included in the manuscript with an emphasis on their relationship to Flateyjarbók as a whole, and the ways in which free-standing texts were adapted and contextualised to fit the late-fourteenth-century context in which this remarkable book was produced. Nóregs konungatal (Nkt) ‘List of the Kings of Norway’ is a 664-line genealogical poem in Old Norse, preserved only in the fourteenth-century codex Flateyjarbók. Composed around 1190 at Oddi in Iceland for the well-connected magnate Jón Loptsson, it is in the metre kviðuháttr, a catalectic variant of fornyrðislag. This metre connects Nkt with illustrious precedents such as the late ninth-century Ynglingatal ‘List of the Ynglingar’, and their claims to capture, secure and personalize collective oral memory. But other features link it forwards to the collecting and compiling activities of high medieval Icelandic textual culture, of which Flateyjarbók is such a splendid example: the poet comments with wry mock-modesty on his poem’s extravagant length (‘One must first row far from the whale, yet come down close before it is finished’, v. 2), cites his authorities (‘I recounted their lives just as Sæmundr the learned said’, v. 36) and conscientiously notes regnal years and forks in the family tree. In this, it is a perfect mirror of twelfth-century learning, and along with the eddic poem Hyndluljóð, it has been argued to be a key to the meaning of the Flateyjarbók codex. My presentation will ask two questions: whether we are justified in projecting the genealogical interests of Nkt back to earlier poems such as Ynglingatal, and why the poet of Nkt chose this particular form for his praise of his patron’s lineage. Flateyjarbók takes to an extreme the tendency to expansion in late kings’ saga compilations, where the base text of Snorri Sturluson’s Heimskringla is interwoven with interpolations from a wide range of other texts, incorporating widely varying styles in a comprehensive hybrid text. Taking the example of Óláfs saga Tryggvasonar, this paper examines the technique of the compiler in the treatment of a number of Conversion episodes, where the proselytising zeal of the king is juxtaposed with a number of surprisingly sympathetic representations of the paganism he is credited with overturning. 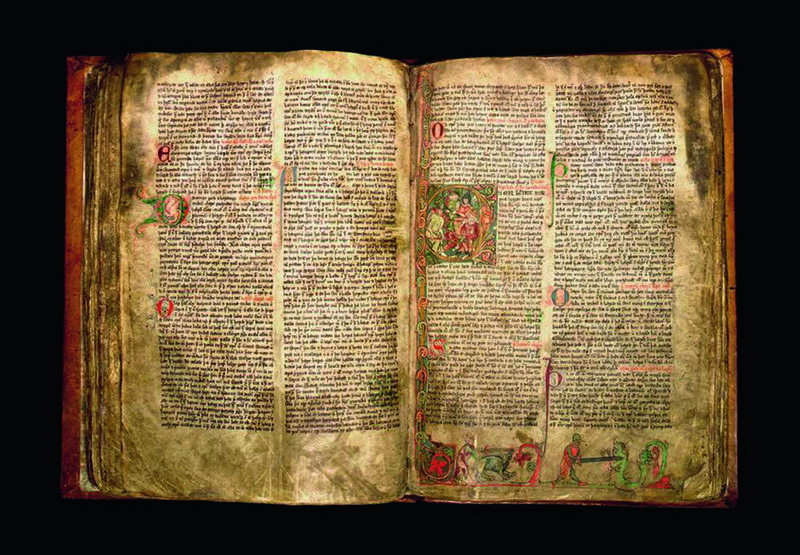 In the fifteenth century, a whole section, now the tenth, eleventh and twelfth quires of the manuscript, was added containing Magnúss saga góða ok Haralds harðráða (including the eleven þættir, which, as Ármann Jakobsson points out, should be thought of as part of the saga). Because it was not included in the original compilation, it cannot necessarily be included in a discussion of the original direction of the manuscript. However, examining how the manuscript is different with its addition can add to the discussion of how Icelanders of the next few generations viewed the manuscript and lead to speculation about why it was kept out or eventually added. More work still needs to be done comparing the content of this saga with the other sagas in the manuscript, but initial investigations suggest that juxtaposition of Magnúss saga góða ok Haralds harðráða with the other texts, simultaneously brings out the secularity of the stories of other kings like Óláfs saga helga and Óláfs saga Tryggvasonar, while also emphasizing Magnús and Haraldr’s connection to St. Óláfr and the Christian nature of that story. Its further emphasis on the contributions of Icelanders, further contributes to the theme of Icelandic and Norwegian cooperation. Its absence emphasizes the manuscript as part of a textual tradition about kings, not needing to fill in the period from 1030-1177 because it is well covered elsewhere. Its addition indicates a re-evaluation (or a confirmation) of the manuscript as a representation of a complete collection. Its addition adds to Elizabeth Ashman Rowe’s conclusions that the manuscript serves of to commemorate the passing of the Norwegian dynasty from the perspective of Icelanders. Kate Heslop has a BSc in Geology from the University of Auckland and a PhD in Old Norse from the University of Sydney. She has written extensively on skaldic poetry and contributed new editions to the Skaldic Poetry of the Scandinavian Middle Ages project. She is Associate Professor in the Department of Scandinavian, University of California, Berkeley. Alison Finlay is Professor in Medieval English and Icelandic Literature at Birkbeck, University of London. She has written widely on Old Icelandic Family and Kings’ Sagas and skaldic poetry. She has published translations of many Old Icelandic texts including Heimskringla, and is currently translating Flateyjarbók for the Saga Heritage Foundation. Megan Arnott has a BA from Queens University and an MA in Norse and Viking Studies from Nottingham University. Since 2012 she has been working on a PhD at Western Michigan University on characterizations of Haraldr harðráði.